Ichitan blasts unhealthy street food. 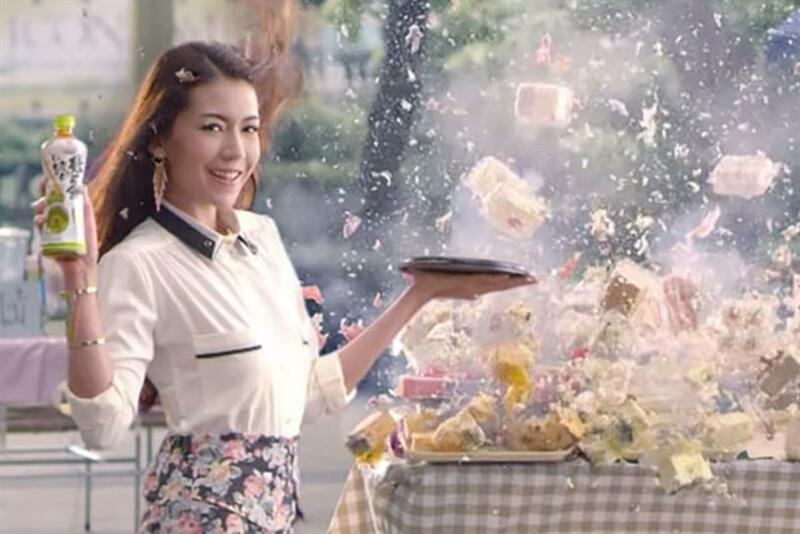 BANGKOK — Exploding street food and surreal comical characters highlight the grab-and-go eating culture of Thai people in a campaign for ready-to-drink brand Ichitan. Outlandish, laugh-out-loud marketing characterizes Ichitan, a marketing juggernaut here that has won international media attention thanks in large part to the flamboyant persona of its founder, Tan Passakornnatee. The brand is big on national spectacles that involve giving away treasure chests of gold and sports cars on any given day. But for the latest campaign, Ichitan, along with Y&R Thailand, focused on a consumer insight about lunchtime behaviors, emotions and the consumption needs of Thai office workers. According to Rattanawadee Lertviriyavanich, business director at Y&R Thailand, inspiration for the ad came from the everyday lives of Thai office ladies, who are "becoming increasingly concerned with health and the shape of their bodies." Lertviriyavanich attributes this to the rise of beauty and weight-control clinics, fitness centers and the explosion of healthcare products targeting women in Thailand. Social media also helps fuel the trend, particularly Facebook and Instagram, where image-conscious Thais are particularly active. The trend however, clashes with what is readily available and infused into popular Thai culture: street food. Grilled chicken on a stick, (Gai-yarng), sugary Thai milk tea (Cha-yen) and pork balls (look-chin) are just some of the goodies available to passersby and office workers across Thailand. "The life of Bangkokians has become rushed and hectic," Lertviriyavanich said. "These foods are the quickest and most delicious options for Thai people, who generally crave an afternoon break and snack. Our research shows that there’s a lot of guilt that comes with this food." The Ichitan Selected product line offers low-sugar Oolong and Matcha green teas. The campaign features two young female office workers suffering from a comical bout of post-food depression that puts their very friendship on the line. The solution involves smoke machines at full blast in the middle of the office to signal the entrance of Ben Calatit, a famous Thai singer, and Maeya, Miss Thailand World, who each present a bottle of Ichitan Selected. In the background, office workers continue to work and sit in cubicles, lending a dreamy quality to the production. Teerapol Suneta, director at Suneta House, the production company behind the ad, said the film was shot in a day, and the most challenging part was filming the exploding street food, the climax of the story. "It was also the most fun," he added. "We really focused on how to entertain consumers," said Suneta, who worked to deliver the consumer insight of "guilt after eating" in a way that matched Thai sensibilities and sense of humor. "The food explosion was an important part to reveal the product benefits and bring fun to the film." The brief was to create a TV spot in the form of a music video. "If we could nail that, the duration of this half MV [music video], half TVC wouldn’t matter," Suneta said. "We we’re given the scope to create something from three to five minutes long." Has the tide turned for India's gender sensitivity?